Home Depot & Lowes – Is it Worth it? Why Chose Solar Solutions Instead of Lowes or Home Depot? Lowes or Home Depot are where most property owners shop for their DIY projects. These brands offer a little bit of everything, making them a one-stop solution for many home projects. This is especially true for those searching for window film. But, because Lowes window film and Home Depot window film are so diverse in what they offer, it can be difficult to get a professional opinion on what’s perfect for your home. Further, finding someone who can help with the education of window film, installation, maintenance, etc. can be daunting. 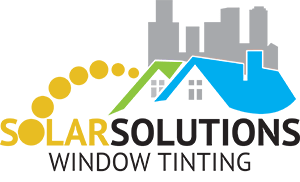 This is where Solar Solutions comes in – we are a 30+ year old window film provider ready to deliver quality, cost-effective services. Just swing by your local Home Depot or Lowes, pick up some film, and install it. Sounds easy, right? No, it’s not as simple as it sounds. The belief that anyone can install window film is not true. It may look easy, however, there are many circumstances that could end result in an installation that looks unprofessional and tacky. You may be tempted to install tint on your window yourself, however, this comes with a few downfalls. What are some drawbacks of installing window film from Lowes or Home Depot yourself? You need to cut the film to the exact size of your window which can be a challenge if you don’t have the necessary tools. Cutting requires experience to avoid scratching your windows or sizing the film incorrectly. Getting a piece of dirt on the film or window glass can completely ruin your entire installation. Trapped dirt will leave bubbles in the film which not only compromises the appearance, but also the functionality of the film. While you may save some money installing window film yourself, there is the chance of installing it wrong the first time. This will cause you to have to buy a new kit and try again. What a waste of time, energy, and money! Solar Solutions offers a free in-home consultation to talk about your options before you risk installing this yourself. We will walk you through your options keeping in mind the style you have in mind as well as your budget. As a professional installer, we have the tools and necessary application techniques to prevent contamination among other problems you’ll face buying and installing film from Home Depot or Lowes. Homeowners are always looking for ways to improve their property. 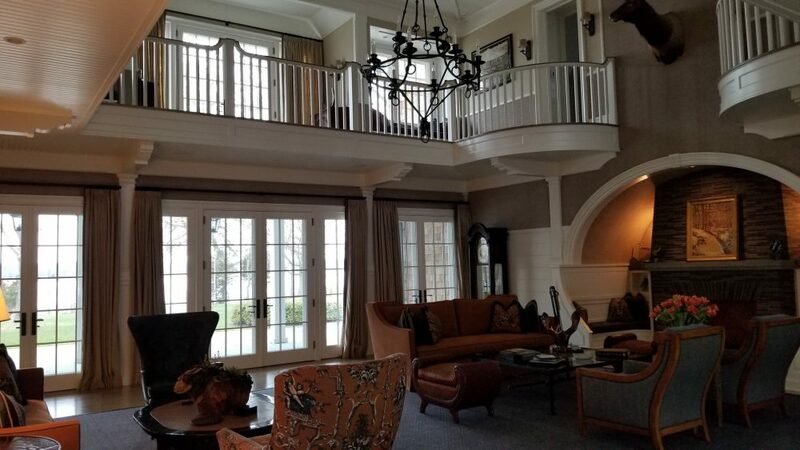 One way to do this is investing in a residential window film service that offers benefits that go above and beyond the aesthetic of your space. While decorative window film is a popular option, some individuals want the privacy film options or heat reduction benefits that window film brings. Our professional residential services are personalized to give you the look and functionality that you’re looking for. We partner with leaders in this industry to bring Long Island the best window tinting on the market. Why are we a great alternative to major brands like Lowes or Home Depot? Our window film offers higher performance and a longer lifecycle than most. We offer the highest optical clarity on the market. Free in-home consultation to ensure you get the film that works for you. Our decorative window film options come in different shades and patterns. When it’s time for a new style, our films can be easily removed. Prevents the fading of furniture by blocking out the suns damaging rays. If you ever run into a problem with any of our installed window film services, you can count on us to resolve the issue in a timely manner. We offer competitive pricing on our high-quality residential window films, and we’re certain we’re the better alternative to your window film installation compared to Lowes or Home Depot. Stores like Home Depot and Lowes offer a wide range of window film but take the worry and hassle out of trying to do this yourself. Leave your window film installation with us. We know all the ins and outs of finding the best window tinting for your property depending on what you want to achieve in your space. Contact us today for a free in-home consultation and discover why we’re the preferred solution for your tinting needs.